Is a minimalist footwear a fad or an essential for survival? Find out as you read on below! I Will Take Function over Fashion Any Day! As a young United States Marine, training in combat and jungle boots wasn’t just routine, it was an order! When it came time for standard PT (Physical Training) we were able to slip on a more comfortable pair of go-fasters (standard running shoes). It had a padded heel and soles that incorporated shock-absorbing gel. With this new technology, why were so many of my fellow Marines experiencing knee issues that were taking them out of commission? It wasn’t until many years later that I received the answer to that question: minimalist footwear. Once I left active duty, my fitness level was certainly not a priority. I gained weight and spent most of my waking moments seated behind a computer screen. I became deconditioned due to the mental battle that I was experiencing as I tried to adjust back to civilian life. Things went on in this fashion for over a decade. One day, I woke up and stared at the mirror… A feeling of embarrassment overwhelmed me. I made a commitment to myself that from this point on, things were going to change. I went out and got myself some new PT gear. Part of that gear was a high-speed, expensive, pair of running shoes. I started using a treadmill and lifting Olympic weights. I began shedding some fat and was feeling pretty good about my decision. A couple of months later, my cousin asked me to join him on the soccer field to practice with his team. I felt like I was up for the task and took him up on his offer. Once I arrived at the arena, we started off with some warm-up drills. We began to pass the soccer ball around and on my first strike… I heard a loud POP in my right knee. I headed to the sideline in a bit of a daze, trying frantically to just walk it off. My knee began to swell so I headed to the hospital. After some time and a battery of exams, the diagnosis was a full tear of my ACL and complete loss of my meniscus. What Is Meniscus? It is the rubbery C-shaped structure between your knee joints which serves as a shock absorber. Doctors told me, I needed surgery. Basically, they would take a ligament from a cadaver and place it in my right knee. Secondly, there was the source of the ligament. My doctor’s all commented on my hesitation and warned me that without surgery, my active lifestyle would be non-existent. As I researched other options to surgery, I kept stumbling upon information on barefoot and minimalist footwear. Basically, people were “fixing” their knee and other issues by removing the technology from their footwear. This was counter-intuitive to what I had come to believe. However, I had been a lifelong martial artist and we were always barefoot in the dojo. I also reflected back on the knee issues that my fellow Marines were having while on active duty. What I came to learn from this experience was that we were allowing technology to do the work for us. By adding “high heels” and other technology to our footwear, we were masking the sensations from the activity that we were performing. Instead of strengthening our bodies with each workout, we were, in fact, becoming weaker. We are basically telling our running shoes to do the work while our muscles, tendons, and ligaments take a back seat and rest. I began training barefoot whenever possible and picked up a pair of minimalist shoes. These shoes resembled gloves for feet and certainly brought a lot of attention while I was out in public. Once I made the switch to training in minimalist footwear, things began to change. There was certainly an adjustment period but I knew that I had very few choices if I wanted to avoid surgery. I began to feel stronger and had much more sensitivity throughout the activity that I was performing. I was getting lots of feedback from the workouts that I had never gotten before. It was working wonders on my physical being but surprisingly, it was also increasing my awareness when I was out in the field. This experience changed a lot on how I address my training for emergency preparedness. In addition, there were some interesting by-products that I gained from incorporating minimalist footwear. I’d like to share a few of those insights with you now. 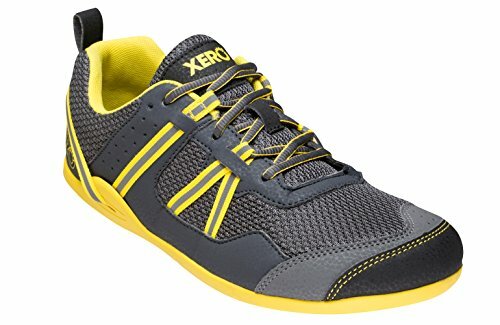 Grab a pair of Vibram-brand minimalist shoes here or Xero-brand shoes here! Since the footwear is designed to be minimalist, they are extremely convenient to stow away in your pack. You can easily roll them up in the palm of your hand. The fact that very little material goes into their construction makes them lightweight whether they are on your feet or stowed away in your kit. Keep in mind that the minimalist design does not mean that they are inferior in their construction. As a matter of fact, most of my minimalist shoes have outlasted other footwear that I own; even when the conventional shoes have gotten much less use. Minimalist shoes, on a whole, tend to perform much better than hiking boots in these instances. I wouldn’t exactly say that all minimalist shoes that I own are designed for water activities, but when compared to their non-minimalist counterparts, they tend to come out on top. Less material in your footwear allows your body to participate much more in the actual work being performed. Taking away the “high heels” that most running and trail shoe feature enables your body to maintain proper alignment. In addition, your muscles, ligaments, and tendons get more activation as you continue on with your task(s). Not only will this build your physical preparedness but also aids in keeping you injury and pain-free. Wearing minimalist footwear allows your feet to move around freely. The lack of restriction brings a level of comfort that is not matched by standard footwear. Initially, the experience may actually feel like the opposite of what I am stating here. After all, we spent a lifetime wearing restrictive shoes so we need to take that into account. But if you take some time and implement minimalist shoes into your lifestyle, your natural movement will once again become prominent. You will experience a level of comfort that will bring you back to your childhood days. Minimalist footwear allows you to feel the environment with each passing step. Twigs, rocks, and other debris are easily felt as you continue on with your mission. Maintaining this awareness allows you to gauge the amount of pressure that you will place on these obstacles. This will directly correlate to the amount of disturbance and noise that you will cause as you interact with the trail. Traditional footwear allows you to barrel over obstacles, barely realizing that they are even there. This can easily give your position away whether you are stalking prey or just trying to remain under the radar. Most of today’s minimalist shoes are designed with running and hiking in mind. A large number of manufacturers choose to use a sole made by Vibram. Vibram has been providing soles for the U.S. military for decades and are quite the trusted name. The soles of the boots that I wore in the Marine Corps were made by Vibram. Also, the duck shoes that I referenced earlier… Their soles are also made by Vibram. Vibram probably makes the best minimalist running shoes. Other companies such as Xero Shoes offer a 5000-mile warranty on all of their footwear. They also have one of the best minimalist running shoes for women. That alone is a pretty good indication of the durability offered by minimalist shoes that are available in today’s market. Unlike most conventional shoes, minimalist footwear is designed to be worn with or without socks. This gives your feet the ability to breathe while you are performing work. I have the tendency to sweat and sweat a lot. Wearing conventional footwear usually results in me having to change my socks a few times while I’m on the trail. If I don’t, the annoying blisters and “hot spots” begin to form. Wearing minimalist shoes greatly reduces the sweating and need for frequent sock changes. This allows me to pack less gear and alleviates the need for carrying stinky, sweaty socks while I’m working on my current mission. In a recreational camping environment, there are usually shower facilities available to the public. However, they may not be the most sanitary place to clean up. Wearing shower shoes are recommended and some may say… A Must! Unfortunately, including shower shoes in your kit is either bypassed or just simply forgotten. But with most minimalist shoes, especially sandals, there is no need to pack additional gear. As we previously discussed, minimalist shoes tend to dry relatively fast. I shower with my minimalist shoes on which works for me two-fold. 1: I maintain a barrier between my feet and unwanted bacteria and 2: I also get to clean my shoes so that they are ready for the following day’s adventure. I can then place my shoes by the fire or other heat source and in no time, they are dry. All the fun, freedom, and benefits of being barefoot, but with the protection and comfort you want in a sport sandal. Xero Shoes come with our 5,000 mile warranty. Perfect if you hike, walk, run, jog, work out, Crossfit, yoga, raft, stand up paddle board, kayak, canoe, fly fish, even run ultra-marathons. 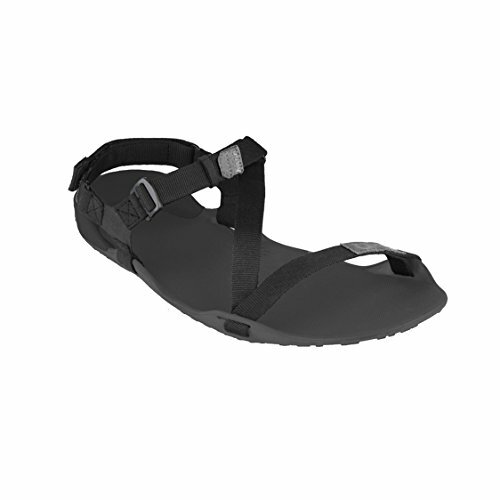 Up to 70% lighter than other sport sandals. Only 5.5mm thick, it's perfect for travel. Flexible enough to roll up and fit in your pack or pocket. Durable enough for wherever the Z-Trek takes you. As I mentioned earlier, wearing minimalist footwear allows you to feel the environment around you. Each step provides valuable feedback to your nervous system about the terrain that you are operating in. This insight enables a much more positive experience with nature because you are paying attention. This will help to pull all of your senses together making your activity more enjoyable. Minimalist footwear is not for everyone. As I eluded to earlier, there is a bit of a break-in period that many do not have the patience for. Most of us have been wearing conventional shoes for the majority of our lives. We certainly cannot expect to snap our fingers and return to our natural movement overnight. Just like most things in life… If we try to force it—injury usually follows. If you are interested in giving minimalist footwear a try, just remember… Baby-steps will always get you there the fastest. Low-to-the-ground for balance and agility. The flexible sole lets your feet bend and move naturally. What do you think of Coach Helder’s latest review of minimalist footwear? Let us know in the comment section below! Survival Footwear | How Important Are Shoes For Survival? For awesome survival gear, you can’t make at home, check out the Survival Life Store! Follow us on Facebook, Instagram, Twitter, Pinterest, and Tumblr! Editor’s Note: This post was originally published on May 28, 2017, and has been updated for quality and relevancy. I mainly review gear focused on the outdoors & emergency preparedness. However, I also review products that are part of my lifestyle. I am a fitness & self defense professional so I feature products that will keep me living my physical lifestyle & that I feel would benefit you. I have a passion for what I do and I hope that I convey that in my reviews. I only post product reviews of gear that I approve of & find useful. You’re a brave guy! When I lived in Seattle, I watched a guy at Green Lake attempt to run barefoot on the walkway around the lake. He’d dash about a hundred feet and then stop. I suspect he was worried about what he might step on. And from what I remember as a kid, it takes weeks to roughen up your feet to go barefoot. Before that, you feel everything. The feeling of the environment that you mention is what bothers me. If I can feel a round pebble, then I fret that I might do more than feel a broken piece of glass. I suspect that’s why militaries want their soldiers heavily shod. Wearing heavy, stiff shoes with ankle support isn’t as bad as suddenly going lame in the middle of a fire fight. I’m a play it safe kind of guy. After some local medics explained to me how expensive a snakebite would be to treat, I began wearing thick rubber boots when I clear bush in a woodland next to me. I don’t want to make it easy for a rattler to bite me. And if he does, I’m going to beat the stew out of him as punishment for that cost. Have you looked into adding the puttee to your exercise gear? Some militaries have found it helpful. There’s probably a catch-22 there as with shoes. Support provides protection but it also leaves the foot or lower leg weaker when it is not present. Thanks for sharing your experience. I have not used the puttee but I do have an article coming up on building a field-expedient suspension training system using some basic ropework & knots. It should go live on here in the next week or 2. Thank you for taking the time to leave a detailed comment; it is appreciated! Give me a good sturdy pair of Hiking Boots any day of the week !!! …. very least I wear in the Karrimor Hiking shoes in extreme heat ! It’s all about personal preference, Neil. Thanks for sharing! Thanks for this Coach! It’s great to see physical fitness emphasized for preparedness. Keep these gems coming! Do you have any suggestions for minimalist farm work shoes/boots. I guess any of the above would be ok for summer but for winter and serious wet weather? Also they need to last, I’ve tried 511 Urban recons and got maybe 6 months out of them. I’m getting frustrated about the lack of quality in footwear that doesn’t ruin my ankles and knees these days. I’ve worked hard to get my ankles and knees (I’m 46) back to a workable state and I notice pretty quickly when shoes are messing with that. I live in Australia and I’m happy to fork out for good gear but if it doesn’t last it doesn’t qualify then does it? The Vietcong and NVA used the most minimalist shoes ie auto tires sandals. How do that compare? Regarding your completely tore acl and meniscus, I snapped my acl skateboarding and didn’t have insurance. The swelling gose down, you feel great, and than you plant your foot or turn your knee just right an BAM, your knee hyperextends and your imoblized for days. If you did totally snap your acl, the longer you wait to have it repaired, the worse your maninsus will get until you have bone loss and osteoarthritis. I know this first hand. It was 10 years and 5 separations of my knee before I had surgery and now I have limited range of motion and constant pain. See the acl will actually fuse to the pcl and you will feel like it’s healed. This couldn’t be further from the truth. I write this because I don’t want you to have to go through what I am going through. To me cowboy boots are the way to go. I’ve always worn them and they are good for any weather. May not be what other people want but it is for me. Ever since going minimal my feet and ankles have been stronger, and I feel connected to the terrain. Missionaries initial tactic in civilizing savage heathens is separating them from the land, shoes do this most effectively. My Mom is an old school creature and battled mightily to keep shoes on her children’s feet. She swore that unless our feet changed with the shoes our lives would never amount to anything. This never made sense until my epiphany with minimal shoes.